Currently, there is no cure for mitochondrial disease – but we are working on it. 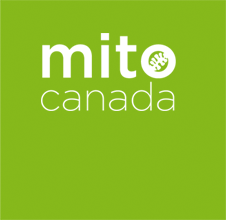 What is the cost of Mitochondrial Disease in Canada? The overall disease burden is unknown but significant, resulting in substantial direct and indirect health care costs to the patient and society as a whole. At present, there are no highly effective treatments. Related symptoms may be managed with various medications. Most physicians prescribe a ‘cocktail’ of supplements that may include Coenzyme Q-10, L-Carnitine, Thiamine, Riboflavin, Vitamin C and Vitamin E, to name a few. The supplements are often administered in high doses and may require a patient to take up to 50 different pills per day. Can adults have Mitochondrial Disease? Yes, many adults are diagnosed with adult-onset mitochondrial disease. Mitochondrial disease is among the most common adult form of inherited neurological disorders. Some of these individuals have been ill their whole lives but went undiagnosed. Others have carried the genetic mutation that causes mitochondrial disease since birth but did not show any symptoms until a severe illness brought them on. Adult mitochondrial disease patients are affected in a similar manner as children. What is the prognosis for these individuals? As more research dollars are raised to find more effective treatments and ultimately a cure, some of the affected children and adults are living fairly normal lives with mitochondrial disease. At the opposite end of the spectrum, many are severely affected, and some children do not survive their teenage years. Adults may see a once productive lifestyle turn to debilitation. When does the disease manifest? The disease can appear at any age. Many children and adults journey for years seeking a proper diagnosis of mitochondrial disease. Because there are few physicians and experts in the field, some people are often misdiagnosed. What symptoms could an undiagnosed individual exhibit? A ‘red flag’ for mitochondrial disease is when a child or adult has issues with more than 3 organ systems or when a ‘typical’ disease exhibits atypical qualities. The parts of the body that need the most energy, such as the heart, brain, muscles and lungs, are the most affected by mitochondrial disease. Individuals may suffer strokes, seizures, gastrointestinal problems (reflux, severe vomiting, constipation, diarrhea), swallowing difficulties, failure to thrive, blindness, deafness, heart and kidney problems, muscle failure, heat/cold intolerance, diabetes, lactic acidosis, immune system problems and liver disease. When was mitochondrial disease first discovered? The first case of mitochondrial disease was diagnosed in an adult in the 1960s and in the paediatric population in the 1980s. All cells in the human body contain mitochondria. Mitochondria are the ‘power plants’ that provide the body with all of the energy it needs to walk, talk, laugh, hear, digest food, and breathe. When a person has mitochondrial disease, the power plants in their cells are not working properly. It’s like having a massive power outage within your body. In some cases, mitochondrial disease is fatal. Mitochondrial disease is a group of disorders caused by dysfunctional mitochondria. Each condition is the result of a genetic mutation, in either the mitochondrial DNA (mtDNA) or nuclear DNA (nDNA), which results in changes in the genetic material of the mitochondria causing them to fail. Mitochondria are the ‘power plants / batteries’ that provide our bodies with all of the energy we need to power our cells and organs in order to walk, talk, laugh, hear, digest food, and breathe. When someone has mitochondrial disease, it means that the power plants in their cells are not working properly. It also means that they could suffer a ‘power failure’ in the organ systems that sustain life. This is a devastating disease and can be fatal. You may have only recently heard of mitochondrial disease, but you surely have heard of Alzheimer’s disease, Parkinson’s disease, diabetes, ALS, cancer and many other more commonly recognized chronic diseases. Research tells us that mitochondrial dysfunction is at the core of these more well-known chronic diseases that affect millions of people globally.